Purplebricks has hit back at criticism from the City after its shares were hit by a broker’s claim that listing with the online estate agent is like ‘a £1,000 coin toss’. The spat revolves around what proportion of properties listed with the web-based estate agent are sold by 10 months in. 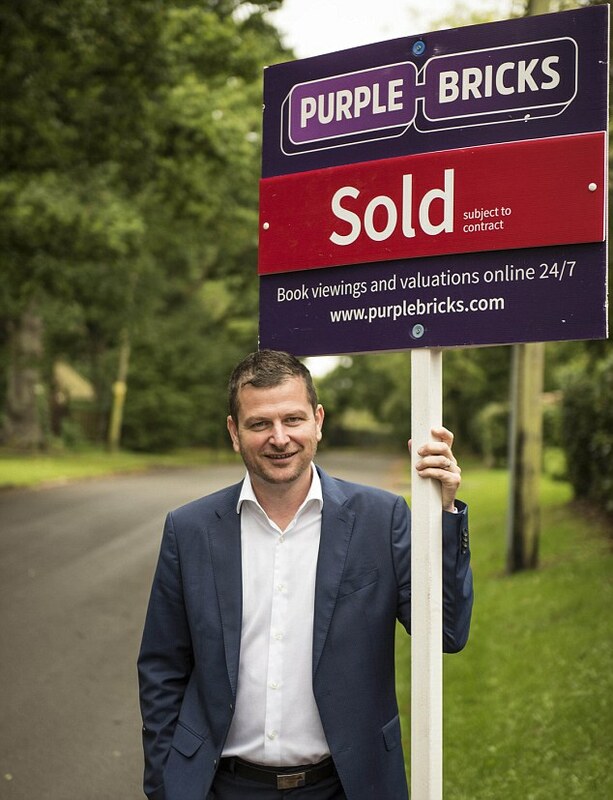 A claim yesterday by analysts at Jefferies that the figure was barely more than 50 per cent and in line with traditional estate agents sent Purplebricks’ share price tumbling 7 per cent. The stock slid another 2-3 per cent this morning despite a strong dismissal of the allegation by Purplebricks, which said that more than three-quarters of homes listed with it were sold within 10 months. Purplebricks charges a one-off fee that of around £1,000 although its latest results shows average revenue per customer at more than £1,100. That fee is kept whether the property is sold or not – whereas traditional agents charge a percentage of the price only if the home is sold. Jefferies said the company does not disclose the number of homes it sells and questioned a claim the company made on BBC Radio of selling 88 per cent of listed homes within 10 months. The research note authored by Anthony Codling and Sam Cullen, read: ‘Our research sample found that it had sold 51.6 per cent of the homes listed in November 2016 within 10 months, a similar success rate to the overall market, but below the company’s claim of 88 per cent. ‘A review of Purplebricks’ accounting policies raises concerns to us that either its contractual obligations to its customers end with their home being listed on the major property portals or that revenue may have been overstated and deferred income provisions understated in its audited accounts. Purplebricks has hit back at the analyst and said it ‘firmly refutes the criticism’. The online estate agent argued that Jefferies’ data is based on a single month and does not include properties that have completed but have yet to be uploaded to the Land Registry, which can take ‘several months’. A spokesperson for the company said: ‘With a few key months remaining, the Board of Purplebricks is pleased with progress and confirms trading is in line with the Board’s expectations for the year ending 30 April 2018,’ it said. Shares were down 2.8 per cent in morning trading to 440.4p.